We're in Cap d'Ail this morning looking towards Monaco and the heliport. On our left is the Port of Cap d'Ail. 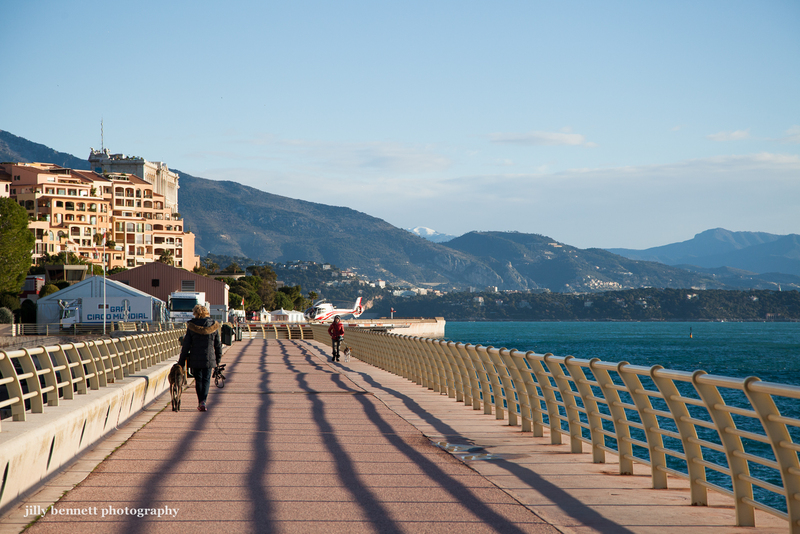 Ahead is Fontvieille and one of the luxury apartment buildings and behind it you can see the top of the Oceanographic Museum. The low white building is temporary - the circus is on and this is where the elephants sleep at night. And in the distance, snow on the Alps. we don't want your sales commercials here!! Get lost!! Jilly: Thanks for this wonderful picture. I love to walk there, too, and to the other direction on the "chemin du chien bleu". The snow on the Alps looks great! I've never seen it like that! this is a view I know very well - lovely shot..